On January 16th, Ford Motor Company President of global markets, Jim Farley, told investors that Ford is working on a battery electric version of the F0rd F-150 truck. 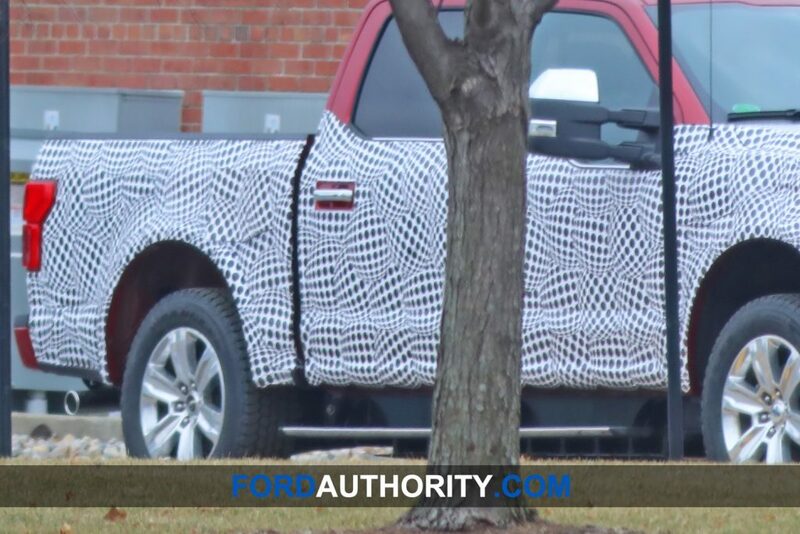 Today, we have the firs spy pictures showing a mule of what seems to be an electric F-150. Due to the way the mule was parked, we were only able to capture a single angle of the mule, but the shots still give us some useful info. Keep in mind that we’re likely looking at a very early prototype of the electric F-150, and that the production version will probably have some very different characteristics. With that in mind, here goes. We can see that the vehicle is plugged into a charger via a charging port located on the front, lower portion of front bumper. That said, we do not believe that the plug will be in this location on the production version. 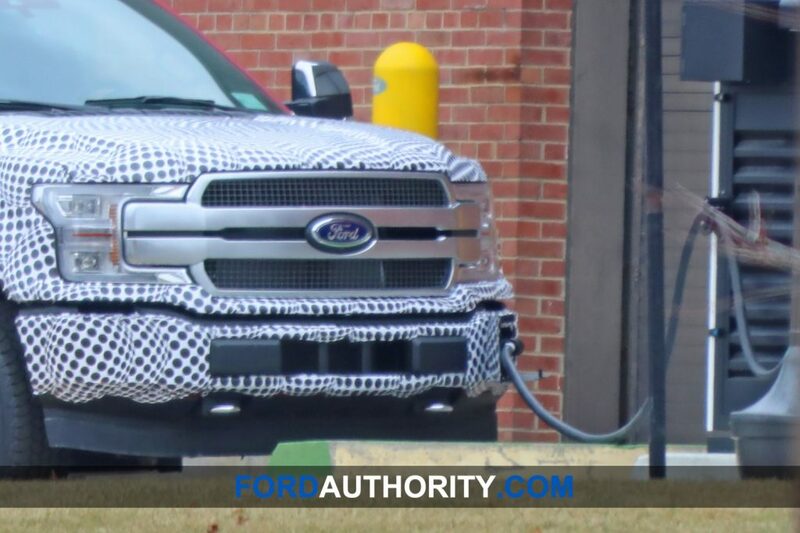 We can also clearly see that the body of this electric F-150 prototype sits slightly higher due to battery packs being placed underneath the cab. Interestingly, there is an exhaust tip on the back of the truck, but we believe that it’s just a clever disguise to throw off the untrained eye. As of this writing, we do not have details about the size of the battery or the electric motors being used, nor about when the vehicle in question will actually come to market. But we can bet that Ford is paying very close attention to the R1T concept that was recently released by Rivian, as well as Tesla’s numerous promises of an electric truck. Stay tuned to Ford Authority as we follow this story, and for more Ford news. *Plug in hybrid* – notice the tail pipe? I wish that this is a plug-in hybrid truck because it will have more buyers, who want to drive electric but need to burn gasoline for range and weather conditions. If Ford was selling this as a production model for 2019, it could have sold be off the lots in thousands due to the recent cold weather. Anyway, if the F-150 can be a plug-in hybrid, so can most of the other large Fords and Lincolns. Without the wrap no one would notice it. I think an all EV F-150 is only a marketing ploy to say “look what we have done”. A few that would use it may use it for a daily driver back and forth to work. However, local government maintenance departments probably would go for it since range is not an issue but low cost maintenance and going green will win it over for this truck.